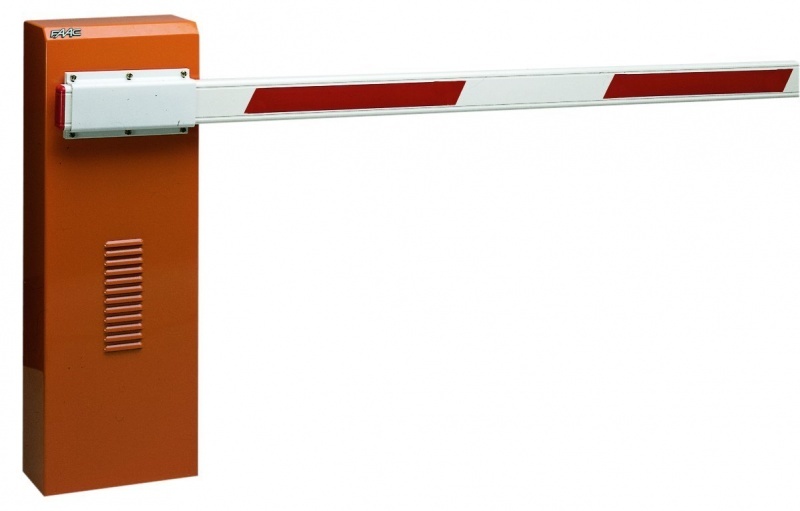 FAAC 640 industrial hydraulic automatic barriers. Recommended for beams up to 7 metres in length. Barrier cycle speeds from 4 to 7 seconds at 100% duty cycle.